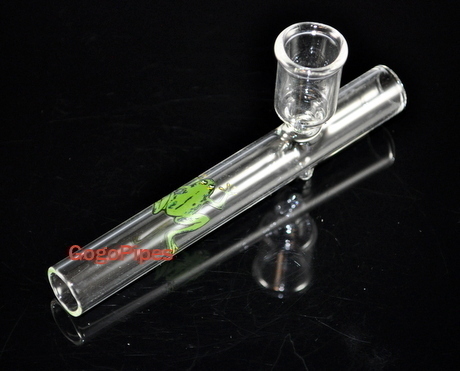 Mini Hand Blown Carb Clear Glass Steam Roller about 4 inch long. Cons: Bowl is a bit larger than the norm making this a tippy pipe but, I fixed that so all is good. Comments: Perfect for one or two hits! Pros: Hits really nice, its very convenient for on the go and its very adorable! Comments: This item should come pre-loaded. Pros: Very good! Kinda thin but hits amazing! So smooth and compact. Cons: Thin glass and will need a screen but worth buying. Pros: this is a nice little pipe. looks fragile though. hits well. Easy to clean. Pros: I have been using these pipes for a couple of years. They are the perfect size. I had some others but they were to big. I love glass because it is so easy to keep clean. I clean mine at least once a day some days twice. Nothing better than a clean pipe and a new screen. Cons: It is highly unusual they you get to drop them twice. They almost always break on the first bounce with the ground. Cons: Small bowl, no screen incl. Pros: Great travel pipe. Small enough for pocket or purse. Classic steamroller design delivers great hit. Screen fits snugly. No fall-out. Comments: Prompt delivery. Securely wrapped in bubble wrap. Pros: Delivers nicely, very unique, small size makes it convinient on the go and easy to store. Cons: Definitely get a pack of screens with this product. The hole in the bowl is pretty big and stuff falls thru without a screen. Comments: BUY A PACK OF SCREENS WITH THIS PRODUCT. Pros: hits like a champ !!! easy cleaning. Comments: would recommend to a friend. Pros: hits hard. gets you a pretty good buzz small compact size. Cons: if its your first time smoking you may want to think about something else only because this thing destroys your lungs. Pros: Excellent stealth pipe. Small enough for shirt or pants pocket. Easy to handle. Classic steamroller design gives great carbureted hit. Flat bowl bottom holds screen in place (unlike the curved bottom so many pipes have now). Bowl large enough for several tokes. Easy to clean. Cons: None. This is just what I hoped for. Comments: Greetings from Colorado, where we can use these pipes as they were intended! Comments: I recommend getting some filters for the bowl. The glass filters on this site last for awhile and are only a buck. Pros: It is the bes on the go glass i own. I use it more than any other glass. It has a hard hit! Comments: Its great! A must buy product! Every home in the country should have one. Pros: Perfect size bowl for a coupla people, nice hits, Great Price !!!! Cons: Can get very hot, have to be a little careful if carrying around in yer pocket,don't want to break it.